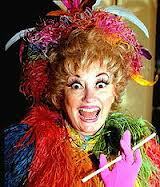 Phyllis Diller, who was 95, died on Monday said her manager of many years. One of her closest friends, Joan Rivers the host of a cable television show, said she was with Diller about three weeks ago and she was all dressed up, running around and very happy. Rivers said she enjoyed the time she spent three weeks ago with Diller and she said that Diller had led a full and complete life. Diller died in Brentwood, California in her home where she had been receiving hospice care following a fall. The Queen of Comedy helped to open doors for other female comedians, including Rivers. One writer who wrote books about female comedians said there were funnier women prior to Diller, but most of them mixed song, dance and comedy into their act. Diller was groundbreaking, said the author, because she used only standup comedy on the stage. Diller also liked to share the stage in the company of other women who were funny. Rivers said that Diller helped her rise to stardom. Other comedians Rivers said were not thrilled to have her move up the ladder, but Diller helped her and was pleased for her. Rivers called Diller an inspiration to her and other female comedians. Rivers spoke of how Diller had a super work ethic, did not rest on her previous laurels and was always making sure her work was fresh. No one said Rivers was disappointed after seeing a Diller act. Diller was 37, in 1952, when she started her comedy career. She was married and had five children when she started. Her husband was unemployed much of the time. Diller once said, when asked what was the reason she started in comedy, my husband and poverty were the biggest reasons. Her mentor, Bob Hope helped her to stardom in the early 1960s.